Michael works as a Senior Consultant and SharePoint Trainer. He is working and living in Vienna, but travels a lot to support mayor projects in Austria, Germany and Switzerland. Michael will share his experience about InfoPath, Visio Services, SharePoint Workflows and Nintex Workflows. If you are planning a sharepoint project around workflows or you are searching for a trainer, please feel free to contact him. Andreas works as a Senior SharePoint Solutions Consultant in Perth, Western Australia for the Consulting company ignia. His major areas of expertise range from Document Management, Intranet and Collaboration, Business Process Automation, Search and Information Architecture. The Clients he works for range from large engineering and mining companies to government agencies. 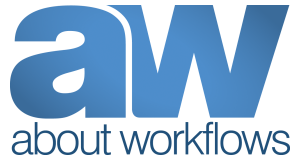 In particular Andreas will cover Best Practices around the K2 workflow platform on this blog. He also runs Shared Knowledge Point, a blog where he shares his experiences and insights around SharePoint. Patrick works at OBS, a Melbourne based IT consulting firm which is part of the Nintex Group. In his role as Principal Consultant he manages, coaches and mentors a team of 6 Senior and Junior Consultants. Throughout his career Pat was involved in various SharePoint projects covering areas such as Collaboration, Information Management, Business Process Automation and Content Management (both Web and Enterprise). As a subject matter expert for Nintex and InfoPath the main focus of his work these days is Business Process Management and Automation using SharePoint no-code solutions, supported by 3rd party products such as Nintex. Patrick also runs ProjectPoint, a blog focused on insights into consulting and challenges around SharePoint, Enterprise Project Management and Nintex.